The World Forum for a Responsible Economy is an annual event that gathers all players that are committed on being responsible and most importantly, in bringing forward good practices of companies all over the world in which others can apply within their own organisations. The EU-LAC Foundation and InnovacionAL conducted an open call for case studies and received 45 nominations from companies worldwide with the best practices that works around the concepts of Circular Economy and the Sustainable Development Goals (SDGs). Companies from the European Union, Latin America and the Caribbean were considered, and the aim of the call was to promote economic inclusion, innovation, and sustainability through the dissemination of good entrepreneurial practices. Ananas Anam came out victorious and was considered one of the winners for the Circular Economy category. 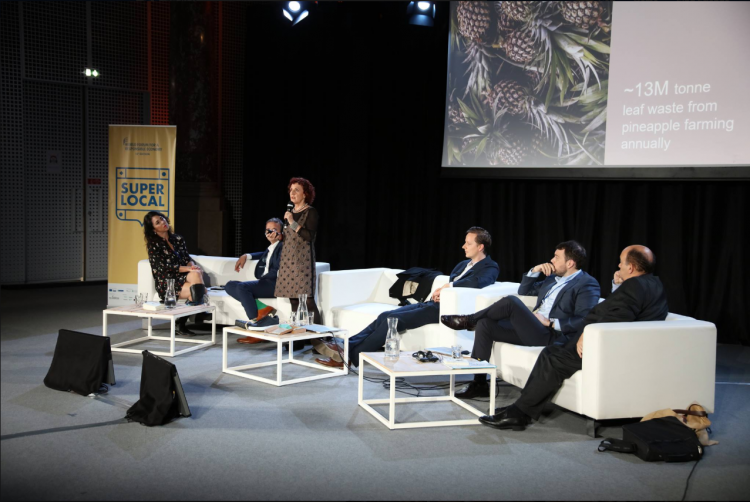 Correspondingly, Dr. Carmen Hijosa was invited to present Piñatex as part of a panel at the World Forum Lille conference last 17th of October 2018 in Lille, France.